Semtech Corporation(Nasdaq: SMTC), a leading supplier of analog and mixed-signal semiconductors, announced today that its LoRa® wireless RF technology is featured in a nationwide low power, wide area network (LPWAN) deployed across South Korea by telecommunications operator SK Telecom. SK Telecom unveiled last week that its LPWAN geared toward Internet of Things (IoT) applications was completed six months ahead of schedule. In addition, SK Telecom announced plans to provide 100,000 free LoRa modules as part of its ‘Partner Hub Program’ in order to scale development and deployment of LoRa-based IoT solutions. Enabled by Semtech’s LoRa technology, which allows a sensor network to operate on low power while providing strong connectivity over a long distance, the SK Telecom LPWAN covers 99 percent of South Korea’s population. The company predicts that it will have over four million things connected to its IoT networks by the end of 2017. 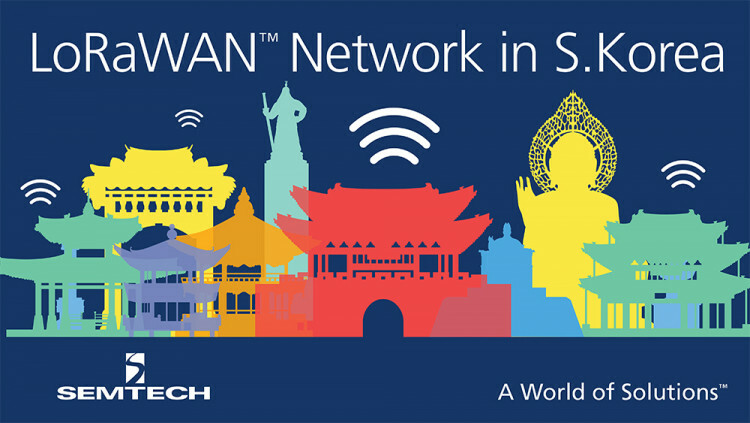 The LoRaWAN™ technology platform based on Semtech’s LoRa two-way wireless RF technology is a comprehensive solution for low power, long-range connectivity, which is essential for LPWANs supporting IoT applications. It offers deep penetrability, secure connectivity, long battery lifetime and streamlined implementation for simple network rollout, as well as integration into existing infrastructure. The ‘Partner Hub Program’ is geared toward developers, small and medium-sized enterprises and startups interested in deploying IoT solutions. Aiming to invigorate the IoT ecosystem in South Korea, SK Telecom will provide companies in the program training, development and marketing resources needed to scale their solutions through its ‘IoT Open Testbed,’ a creative hub for interested parties to develop, test and receive consulting services for their IoT solutions. The IoT Open Test bed will be located in SK Telecom’s Bundang Building. SK Telecom and Semtech are part of the LoRa Alliance, a group of over 300 companies committed to driving and enhancing the LoRaWAN specification to ensure interoperability and scalability of LPWANs and IoT applications. Through its work with member companies and IoT industry groups, it is making LoRaWAN the standard for LPWANs focused on low power, long-range IoT applications. To date, there are LoRaWAN public and private networks in more than 50 countries worldwide.